The 5th Annual FBCA Prayer Breakfast is being again sponsored by the WCI® on Monday, August 22, 2016, at 7:00 a.m. in Crystal Ballroom J1. This annual event is intended to be a conference “kick-off” for attendees who want to meet with other people of faith. The speakers have historically been respected individuals from industries not necessarily identified as “spiritual” who explain to the audience what their faith has meant to them in shaping their lives, careers and their success. The remarkable stories told provide an inspiration to attendees regardless of their religious preferences. The cost of this event is $50 per person, which includes a full breakfast. Proceeds received will pay for the expenses of the event, with any overages being donated to the WCI® service project “Give Kids The World.” Registration to attend the event can be made by registering online. This year’s Prayer Breakfast’s speaker is Charlie Ward. Charlie was the quarterback for the football team and point guard for the basketball team at Florida State University (FSU). During his senior year, he won over thirty awards including the Heisman Trophy. He set nineteen school and seven ACC records, and subsequently led the FSU Seminoles to their first-ever College Football National Championship. He was a first-round draft pick in the National Basketball Association draft for New York Knicks and helped the team reach the playoffs six straight years from 1996-2001. He played eleven years in the NBA and was a leading point guard in New York, San Antonio, and Houston. In 2006, he was elected to the College Football Hall of Fame. 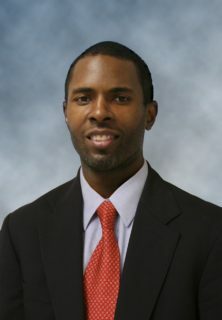 In 2010, Charlie Ward was presented the Bobby Jones Character Award. Charlie Ward credits his faith for all of his accomplishments and identifies his faith as the source he relies upon to be a man of character. He is currently head football coach for Booker T. Washington High School in Pensacola, Florida. His work as a coach is focused not only on the football field but also on building a culture where work ethic and strong character are the highest values.